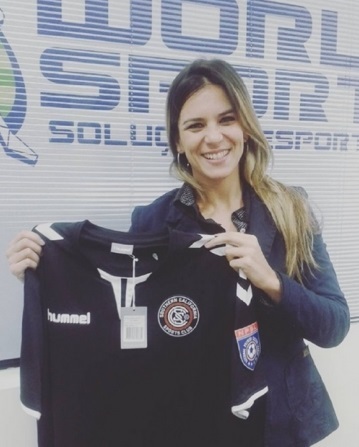 Laisa Andrioli is Brazilian football player, who is part from the country’s national team. She is getting a lot of attention right now on and off the field. Her height is 175 cm and weighs approximately 55 kg. 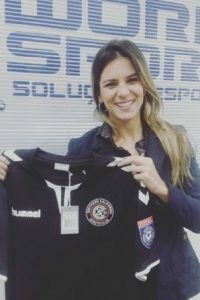 She was born on March 10, 1987 and has played the majority of her career played as an attacking midfielder and representing clubs like Youth SC, UCS (Caxias do Sul) and International (Porto Alegre). Laisa Andrioli also has won Champion Gaucho and Gaucho Champion Selection. 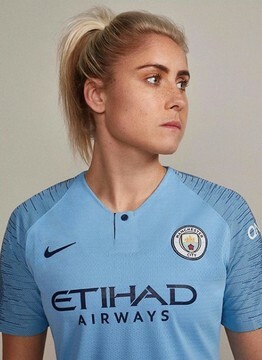 When this hot Brazilian soccer player isn’t on the field, she’s looking damn fine and mighty impressive with great style and beauty. Her dark features and brunette hair have grabbed the attention and the hearts of many sports fans and the average joe. Moreover, Laisa Andrioli even posed naked for several magazine spreads in Brazil just to flaunt what she has. 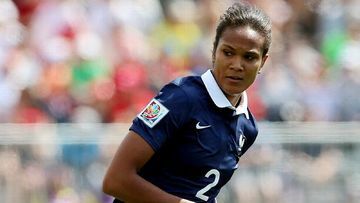 Beware, though, because this chick has a mean kick and is ready to use it at a moments notice, especially at the Women’s World Cup where she puts on her best athletic performance.